It seems Teen Mom 2 star Jenelle Evans always has something to say. It would be an understatement to say Jenelle and her husband David Eason are a controversial couple, as the latter even got fired from the MTV series last year after tweeting out anti-LGBTQ messages. Since, he's continued to post incredibly offensive things across social media, with most fans of the show dubbing him "racist" and "homophobic." 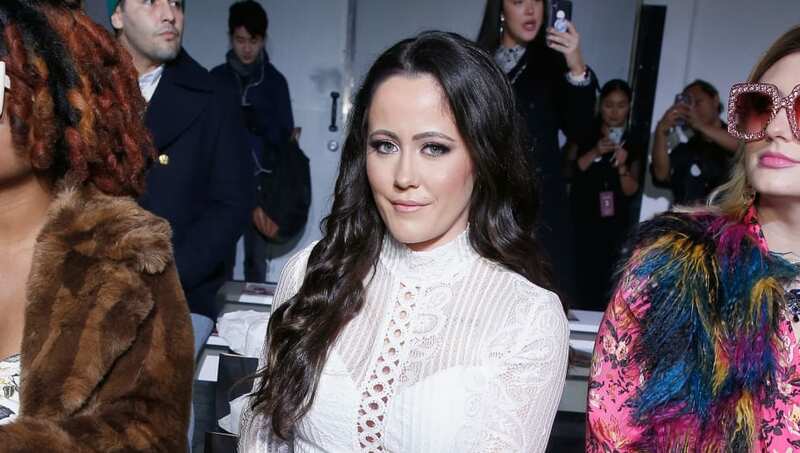 So it wasn't too shocking that when Jenelle attended the Teen Mom 2 reunion show taping last weekend, she was reportedly grilled by host Nessa on all the posts. Nessa, who dates Colin Kaepernick, reportedly asked Jenelle about the racist social media posts, to which it's believed the reality star "stormed off" stage. We don't know exactly what went down during the reunion show, but Jenelle has since taken to Twitter to criticize the show for being "so political." If racism being called out on TV is a problem for Jenelle, maybe she just shouldn't be on Teen Mom 2 anymore. Or, maybe she should tell David to stop posting countless pro-Donald Trump messages online. That kind of makes things political. Many responded to Jenelle's tweet to call her out. Some people just shouldn't have social media.